► The Supremes and the Single Girl, which our guest/alumna Mary L. Dudziak posted at her own Legal History Blog. 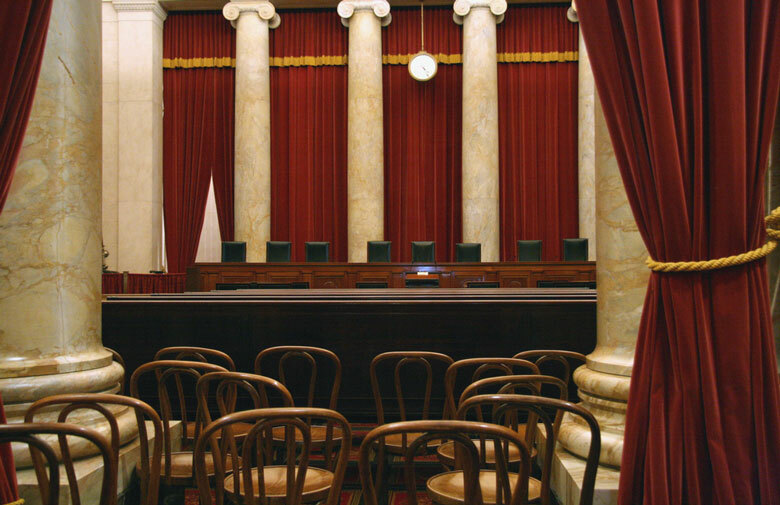 It's also prompted thoughts about how having 3 women might affect the 9-member Court. "Women do bring different life experiences to the court," our honored guest/alumna, Judge Patricia M. Wald, wrote in the series she published here last fall. 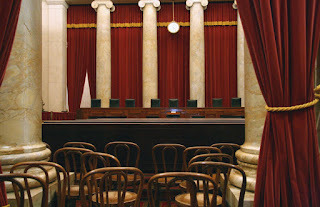 It's a point that other IntLawGrrls also have explored, many in posts (available here) on the confirmation of Justice Sonia Sotomayor last summer. Surely, having a bench that's 1/3 women would place America's highest court closer to a global forefront regarding representation. As Justice Ruth Bader Ginsburg herself has noted, 4 out of the 9 Justices on Canada's Supreme Court are women. And a number of international tribunals have a significant mix of genders -- in some cases, like that of the International Criminal Court, where 10 of 19 Judges are women, by decree of statute. Truth be told, however, women lag elsewhere. At the United States' southern border, the Supreme Court of Mexico lists only 2 Ministras out of 11 members. On Germany's Federal Constitutional Court, 3 out of 16 Judges are women; on the Supreme Court of the United Kingdom (prior post), 1 out of 12 Justices; and on France's Conseil Constitutionnel, 1 woman out of 11 membres.